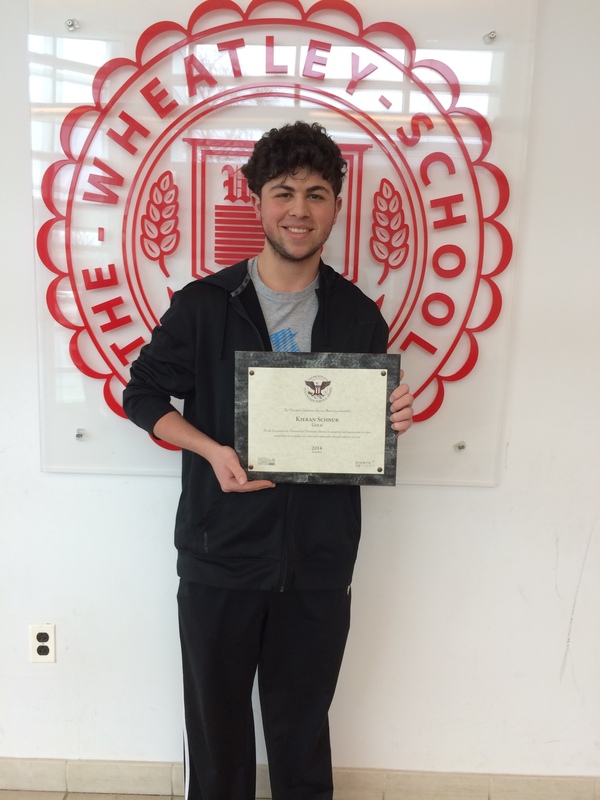 Kieran Schnur Receives President’s Volunteer Service Award! 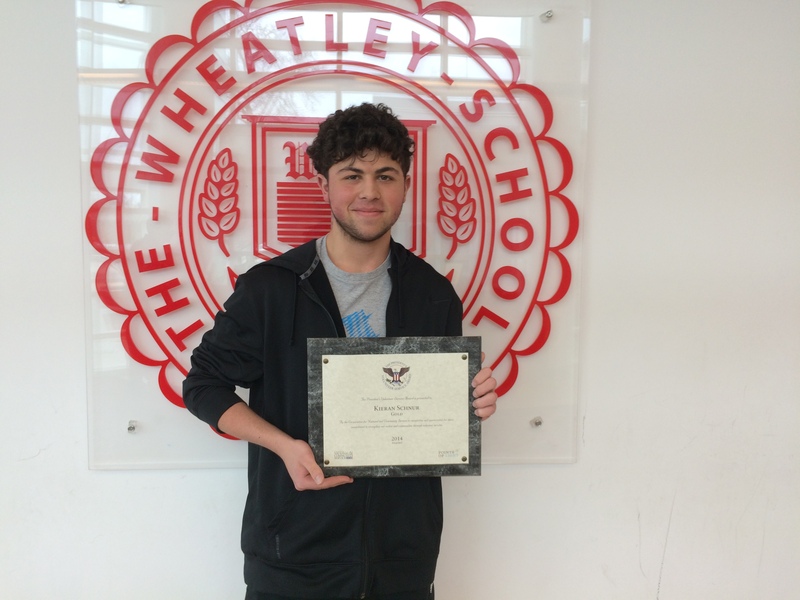 Kieran Schnur, a member of Wheatley’s Class of 2015, has been honored for his exemplary volunteer service with a President’s Volunteer Service Award. The award, which recognizes Americans of all ages who have volunteered significant amounts of their time to serve their communities and their country, was granted by The Prudential Spirit of Community Awards program on behalf of President Barack Obama. Wheatley nominated Kieran for national honors this fall in recognition of his volunteer service. Kieran earned this recognition for the hundreds of hours he has spent devoted to educating youths about Type 1 Diabetes. After being diagnosed with this autoimmune disease as an 8th grader, Kieran educated himself about the disease and how to best manage it. After attending a summer camp specifically designed for children newly diagnosed with Type 1 diabetes, Kieran became both confident in his ability to manage the disease and inspired with a desire to help other children deal with the disease and not feel alone. As such, Kieran worked at the camp for the next four summers, rising through the ranks, from camper, to CIT, to counselor, making his own indelible mark by teaching children to cope with Type 1 Diabetes. Kieran has made a fundamental impact on scores of students at a time when they were most vulnerable. Refusing to be viewed as the “sick kid,” Kieran has empowered himself to work through his own personal health challenge and make a difference with others. As such, Kieran has made his community and world a better place to be! ← Wheatley Students Succeed in Nassau County French Poetry Contest!